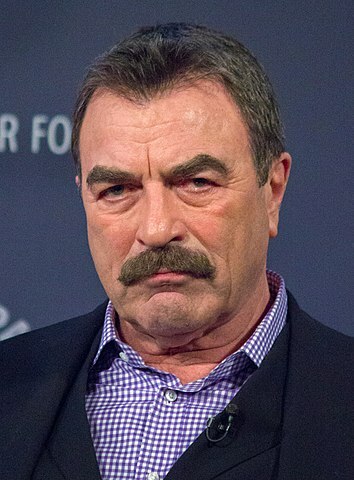 Tom Selleck was born in Detroit, Michigan, United States, on January 29, 1945, is an American actor. Young Tom Selleck began his acting career on ABC television show The Dating Game (1965). He made his big screen debut in comedy film Myra Breckinridge (1970) in role as Stud. Selleck's breakthrough performance came as Thomas Magnum in crime drama television series Magnum, P.I. (1980-1988), for which he won an Emmy Award. He played Jack McLaren in television sitcom The Closer (1998). He studied acting at The Beverly Hills Playhouse. He is a member of Sigma Chi fraternity and of Trojan Knights. He is an avid ice hockey fan. He was married to model Jacqueline Ray (1971-1982). He married Jillie Mack in 1987, they have one daughter. Close friend with actor Charlton Heston. He played Richard Burke, Monica's older boyfriend in TV series Friends. Was originally offered role of Indiana Jones in film Raiders of the Lost Ark (1981). He was part of Hawaii’s Outrigger Canoe Club’s volleyball team when they won two national championships. Lives in Thousand Oaks-Westlake Village, California. I think there have been more movies in the Western genre than any other. I grew up watching those movies. I quit 'Magnum' to have a family. It took a long time to get off the train, but I try very hard to have balance, and this ranch has helped me do that.